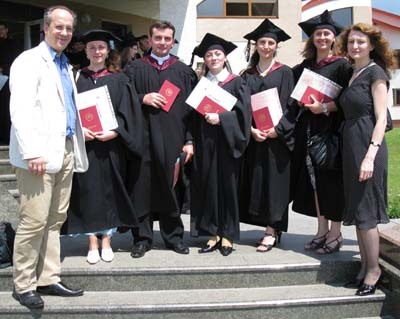 The Master’s Program in Ecumenical Studies (MPES) was jointly established in 2006 by the Ukrainian Catholic University and the Ivan Franko National University in Lviv in cooperation with Catholic Universities of Europe. The MPES is geared towards Ukrainian students with bachelor’s degrees, who wish to acquire an additional degree. The goal of the program is to train competent and spiritual professionals to work as journalists, teachers of Christian Ethics, or provide professional support for persons with special needs. Upon completion of the program the students in Journalism and Christian Ethics receive a Certificate of the MPES from the Ivan Franko National University in Lviv and UCU as well as a Master’s Diploma in Ecumenical Studies from UCU.